Take a look at the chart below and you should immediately see the value of search traffic that comes from Google. Another way to say it is that organic search traffic from Google is more valuable than any other referral source on the web. And it’s because of the high quality traffic that Google sends to websites that you and your business need a blog! The site you are on right now is a blog (in case you didn’t know…)! And this site (my blog) gets over 80% of the daily unique visitors from Google. The traffic is coming directly from Google search results when someone searches a keyword phrase relevant to one of the 1100 plus articles that make up this blog. And the people coming to the blog are happy about what they’re getting because, by nature of Google referring traffic, people are typically finding what they’ve searched for. This is because Google is such a high quality search engine that it works hard to ensure the highest quality pages are at the top of any given search querry. In my opinion, your business cannot afford to not have a blog. People these days turn to Google to quickly search for the things that can satisfy their wants and needs – no matter what it is. So this means the majority of your customers – regardless of what your business is – are first searching in Google for your type of business, product, or service. Your future customers are searching in Google first! Did you hear that? The majority of your future customers are simply sitting down at a computer, laptop, or their iPhone, pulling up Google and then doing a search for what you offer. 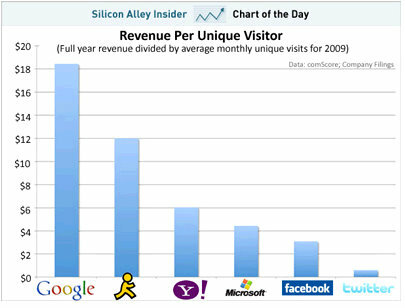 And as you can see from the chart above, the customers coming from Google are high quality, and high paying. But most important is the fact that search, in and of itself, represents “intent”. Let me say that again: Search represents intent! Think about this – when someone searches for something, they had to gather some thoughts about a particular thing, get interested enough to inquire about it, and then gather up the time and energy to sit down at a computer and search for it. Why would anyone go to that degree of trouble if they weren’t sincerely, and of their own accord, interested in what they were searching for? But Google represents your customers, and future clients, that are in a disposition of “inquiring” about you or your business. And it’s because of this, that you (your business) cannot afford to not have a blog! Having a blog for your business, product, or service will allow you to directly impact your ability to reach new customers who are searching for you in Google (and all search engines for that matter). By you generating content about your business, products, and services, you are creating content that will be crawled, indexed, and found in Google search results. And the more you write, the more authority your blog will build in Google. The more authority your blog has in Google, the more favor all of your articles will have in Google’s search results. And the more favor your articles have, the faster they will be found by being ranked higher in Google’s search results. Keep writing more content, build more authority, and attract more visitors from Google search. 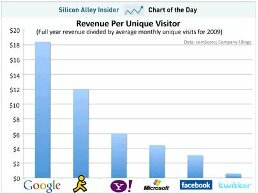 And remember – from the chart above – that Google search traffic represents the highest quality, and most profitable traffic on the web. So what are you waiting for? Get started with a blog for your business today!